Push notifications are messages that are sent by a mobile app directly to a user’s mobile device, although push in general can be used on any device. Push notifications typically appear as a full screen or as a top or bottom banner, similar to SMS messages, depending on the notification functions and goals. Precisely because of their personal nature and the fact that they are sent to existing app users, push notifications are typically associated with re-targeting or re-engagement campaigns. In a mobile landscape where millions of apps compete in app stores and user expectations are ever-increasing, retention is one of the biggest challenges for apps. In turn, deliberate and effective re-engagement campaigns have become exceptionally important for boosting retention, as well as revenue. Enter push notifications, an essential tool in the marketing automation tech stack. Their intimacy and ability to reach users with little limitation make re-engaging users more direct and powerful. One major benefit of push notification, especially in relation to paid retargeting, is that they are extremely cost-effective, producing high payoffs at a fraction of the cost of other methods. This is especially true when paired with deep linking technology, which enables mobile users to be redirected to a specific page on a website or inside an app in a seamless journey. 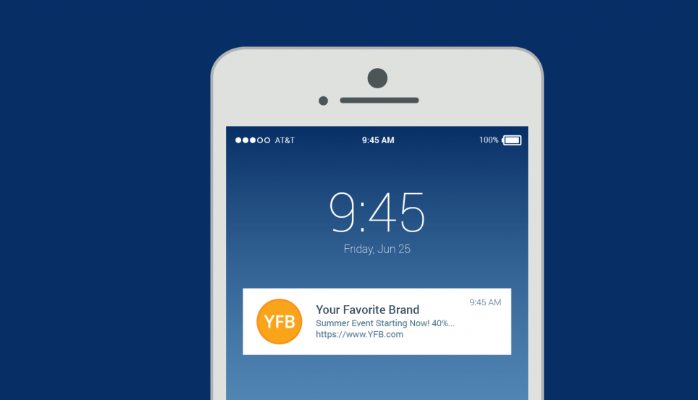 Deep linking allows specific content to be synced across multiple user contexts, which means an unbroken journey from the push notification to desired conversion action within the app. 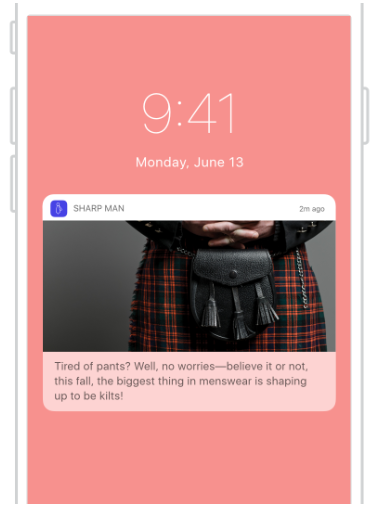 Because of push notifications’ powerful attention-grabbing abilities, publishers can send brief messages to their users for targeted re-engagement at an extremely low cost. Additionally, the push notifications of today function as an intuitive and highly versatile platform. 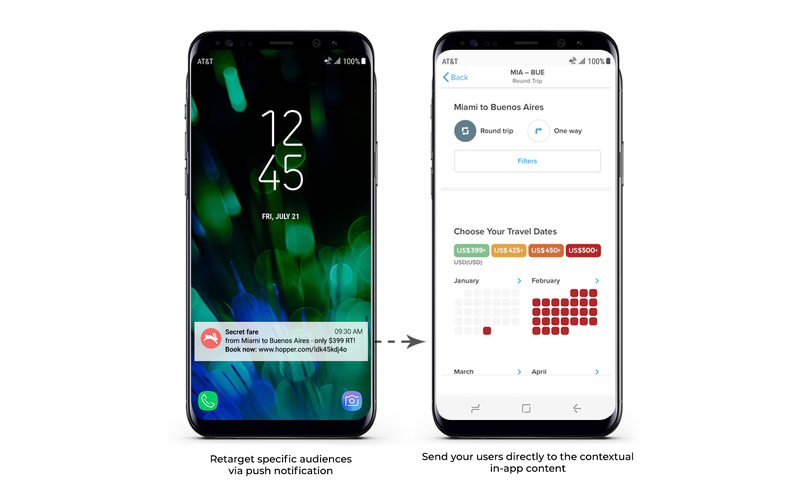 Now, push notifications can potentially include a customized notification tone, short individual messages, or the ability to complete actions without opening an app, among many other features. Given their evolution since their release on iOS 3.0 in 2009, push notifications create a highly personalized space in the crowded and competitive mobile landscape for app publishers to connect with their users and promote long-term, high quality engagement. The push notification journey begins at user install. Just before download begins, users receive a prompt to either allow or block notifications from a given app, a preference which can be changed at any time in the app’s settings. While push is a powerful tool for communication, remember that they can ONLY be sent once a user has installed the app and IF they have enabled the notifications. If a user has opted in for notifications, they can be sent at any time without requiring any customer data. If a user has not opted in, or has opted out, for notifications, getting them to do so (or again) can be very difficult. Push should be sent carefully and with deliberate targeting, as users may be quick to block them entirely. Therefore, despite the access to users push affords, publishers should create a well thought out push strategy that takes into account different user preferences, behaviors, and needs before outreach of this kind. From a mobile attribution perspective, push is highly accessible in terms of measurement. Using deep linking technology as mentioned above, it is easy to dig deep into granular-level data as deep links connect the dynamics of the user re-engagement journey. Marketers can see how users interact with each push campaign, how much traffic was driven from each notification, which landing pages it was driven to, and how much in-app revenue or activity was generated as a result, among other metrics. As one of the main marketing automation tools, once push is configured and customized on the back end, notifications are sent out and the resulting data collected automatically, according to the marketer’s parameters. With an attribution provider, all of this data is aggregated and stored in a single, customizable dashboard that makes comparing push notification traffic and performance to other re-engagement strategies and owned media clear and efficient.